While they’ve been fixtures in the NY live scene for a while yet, and have been racking up accolades with releases on Eiderdown, Debacle, and Beyond Beyond is Beyond, this is undoubtedly the year that Elkhorn makes an indelible impact on the psychedelic spectrum. With the release of a tandem pair of albums for Feeding Tube, the duo gives two distinct visions of their doom-slicked folk fallout. On Elk Jam, the band functions as a proper four-piece with acclaimed guitarist Willie Lane and drummer Ryan Jewell giving Drew Gardner and Jesse Sheppard an improvisational backdrop to work against. This LP locks the players into a shaggy trip that weaves an even denser tangle of guitars than the duo usually finds themselves caught in and knocks their rippled runs against Jewell’s expert anchor. It’s an excellent stab at the Six Organs/P.G. Six/Rangda school of psych-folk freeform that would set them apart in any year, but they don’t let things hang on Elk Jam alone. That leaves Sun Cycle, the dark jewel of the band’s catalog. Opening cold and frost-bitten with the slow creep of “Altun Ha,” the album plunges the band into the dark corners of psych-folk, bubbling under the skin with a high-plains harrow. There’s a heavier sense of danger in the veins of Sun Cycle, feeling like the soundtrack to a dystopic Western, where the stakes are high and hardly anyone’s walking off into the sunset alive. Lane and Jewell are still here, but they’re less foils for Elkhorn than hues in their palette, creating deep oil paint scars of cracked black and saturated blue underneath the brilliant amber runs of Sheppard’s twelve string and Gardner’s electric purple drips of psychedelic sorrow. To say there hasn’t been an LP of instrumental intensity on this level in quite a few years is no hasty statement. Wiliam Tyler’s coming close this year, but Elkhorn are topping the mount. As a pair of LPs, there aren’t too many instances of someone stormbringing this hard with quality equaling quantity. Sun Cycle in particular knocks the band into the ranks of Rose, Chasney, and the brothers Bishop. If you’ve been holding out for an essential release in the first half of 2019, look no further, this should be turntable bound and locked down for the next couple of months of your life. Let its pain become yours, its briefer moments of joy salve the soul and its sparkling strings ease the mind. The live album is a strange beast to master. As the dichotomy goes, they’re either proof that a band is a whole other animal in the room or they’re a runoff of company funds filling pockets of air between studio slabs. You’re either ponying up Live/Dead, Live at Budokon, or Last Waltz territory or hogging a heap of our precious time. The exception, perhaps being archival sets like Castle Face’s Live in SF series, but that’s more along the lines of a parting gift to those who were there and a tease to those who weren’t. Those are tantamount to official bootlegs and that’s a whole other discussion. Approaching a true live album takes a certain amount of bold confidence that the alchemy created in the room can crawl out of the speakers without necessitating the packed bodies, the magnetism of performers, and the glare of the lights. The notification that a beloved artist approaches the live album puts a lump in the throat, eh? Then again, we’re not all casually calling up Steve Albini to run the tapes. We’re not all Ty Segall – long a live draw no matter what configuration has been hammering behind him. We don’t all have the Freedom Band at our beck and call, as heavy a crew as he’s had to tangle his tracks into fuzz-crusted chaos than ever before. 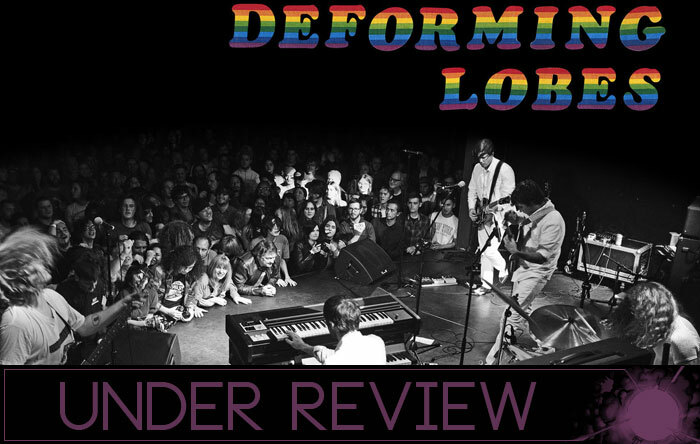 Deforming Lobes is no schedule filler, it’s a testament to road-worn rock and the transformative power a room full of hungry hounds yowlin’ for Ty to turn his ecstatic catalog into a sonic assault. Its one of the rare instances that a live album warrants second and third listens. What’s best said about the impact of the album is probably what he left out, rather than what he left in. For a man with a mile-long discography that hits a halt at his recently released nineteen-tracker, Freedom’s Goblin, the trackist is lean, scraping only eight tracks, with one of them a cover of the Groundhogs’ “Cherry Red.” With the opportunity to get indulgent, the band opts to cut their set down to a molten core, snagging tracks from only a handful of studio satchels and focusing in heavy on Emotional Mugger and Twins with each grabbing two tracks to represent. What they leave in they offer up as a volume-soaked proof of purchase, eight racks of unrepentant damage that leave a scorch mark on the turntable. I’ve seen Ty everywhere from a basement to packed 700-seater and this album hits like a shockwave to the sternum. It makes a good case for keeping the format around. An integral part of La Luz’ sound for the past few years, guitarist Shana Cleveland proves her solo vision to be just as potent. 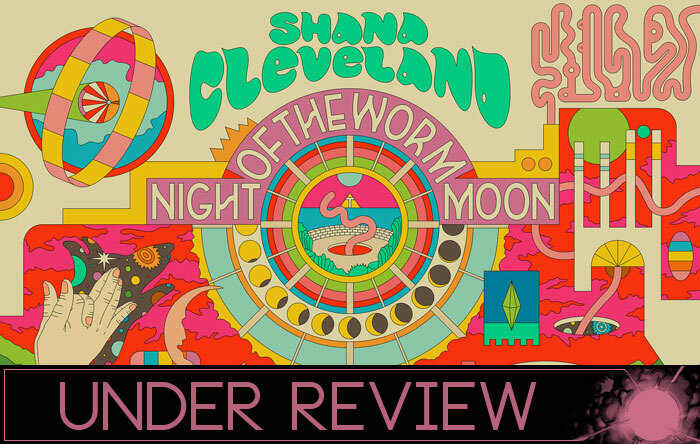 Shirking off the shell of the “band,” Shana Cleveland and the Sandcastles, that she’d used last time she struck out on her own, Night of the Worm Moon burrows far further into the darker recesses of pop’s hold on the mind. Elements of surf still infect her songwriting, as would befit any member of La Luz, but this seems to be a pale midnight ride into the waves. It’s one that ends with a dive below the surface. holding your breath until it hurts, then returning to the beach to watch the stars in hope that another is out there feeling just as adrift upon the pangs of loneliness. Themes of isolation, flying saucers, other worlds, solar eclipses, and inner monologues weave between the somnambulant plucks of Cleveland’s songs. The record revels in lulling the listener into a cocoon of calm, but winds up painting their dreams in strange iridescent shades that haunt heavily upon waking. 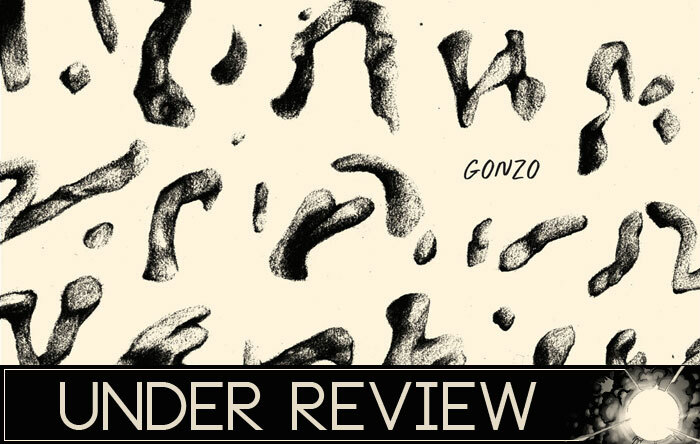 The fevered pastoral nature of the record places it outside many of her surf and garage contemporaries, finding a queasy balance of bleakness and hope like some of the best members of bygone label Language of Stone. 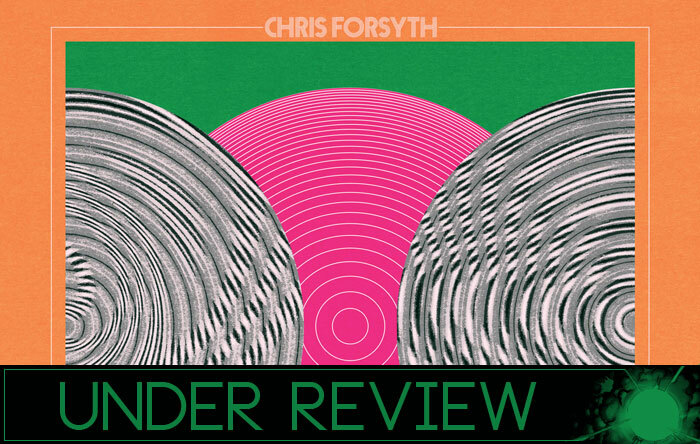 Were it the peak of the psych-folk revival, Cleveland could easily find herself sharing a bill between Orion Rigel Dommisse, Festival, Josephine Foster, and White Magic. She ultimately tugs away from the noose of nostalgia, though, giving the album a thoroughly timeless feeling at its core. Night of the Worm Moon winds up that rare instance of a record that slows time around the listener, sealing the moments spent listening in a billow of haze that’s as narcotic as any substance you’re likely to encounter. Cleveland has long proven a nuanced force in pop, but this album seals her legacy as one of the new era’s most haunting folk voices. 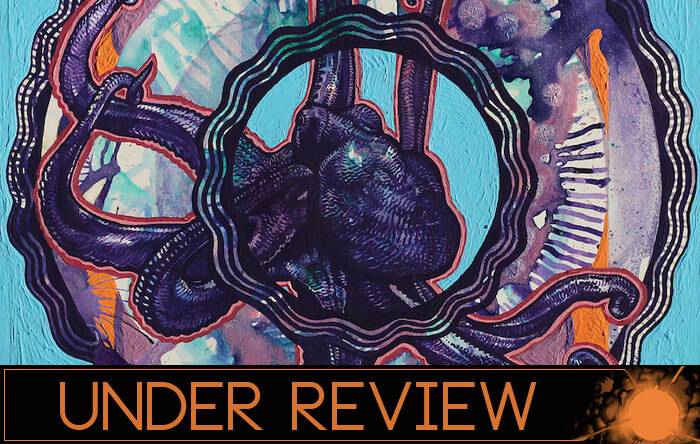 Philly’s Sparrow Steeple cloak themselves in an aura of psychedelic mysticism that plucks from the psych-folk and prog rock camps equally. Much like the worldbuilding bluster of Wolf People or Black Mountain, the band makes it seem perfectly plausible to run guitars through a melted fuzz wormhole, tack on blooze blasted harmonica and sing about Leprechauns, Wizards, Wolfmen and Whispering Woods. 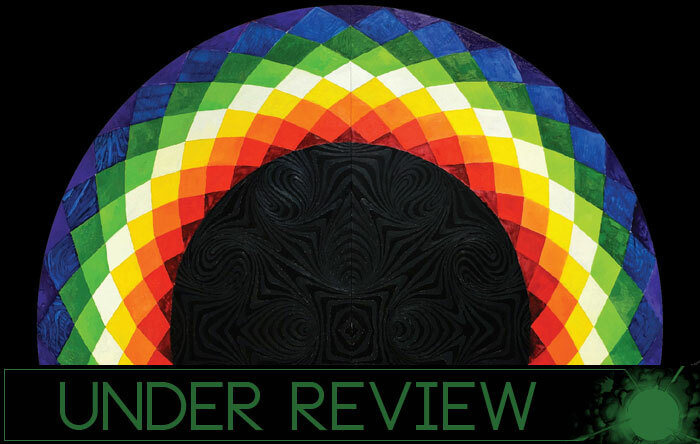 While most modern psychedelia has left behind the Seventies’ penchant for injecting their works with a fascination with fantasy, the band tumbles through their fanciful references with the renewed confidence of lit nerds who’ve updated from heavy stacks of Tolkien to the painted panels of Gaiman, Remender, and Marjorie Liu. 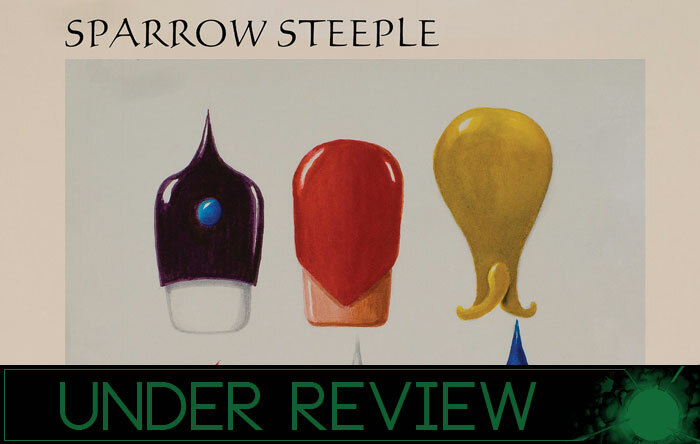 The band holds roots in Strapping Fieldhands, who’d dug through similar territory albeit with a bit fuller lineup, and the skillset of that band lends itself nicely to the Steeple’s jaunty, pub-swum anthems. The album feints for harder hills on opener “Roll Baby” – probably the closest they really get to the rail-rocked classic chargers of Steven McBean – then they begin to seep into wandering troubadour folk as the album draws on. Adding layers of clanging bells, stomps, and claps, the album sounds like it was caught live on tape outside of a tavern about 4 in the morning. Seems like the only thing missing is a holler to “keep it down ya bastards, we’re sleepin in here” as the album wafts to a close on smells of hay and horse fields. The band is keeping the idea of the drinking song alive, opting for jovial more often than not but, they do go in for the occasional cracked-sky warnings (“Leprechaun Gold”) and potion potent head-swimmers (“Stabbing Wizards”) too. There’s something of a mischievous Syd Barrett Mad Hatter winkiness to a lot of their lyrical content, but they sweep listeners up in the moment so that it hardly seems out of place and before long, you find yourself singing along. While probably not for every head out there, the album’s got a growing appeal that lets an indulgence in the fantastical seem like it might be ready for normalization. Everyday’s begging for a cloak and some Moondog horns in Sparrow Steeple’s world, might as well grab a pair yourself. When the first crack listen off the debut LP from Aussies Possible Humans came rolling into the inbox it was marked by strums that brought to mind old guard South Hemi hitters like The Clean and The Go-Betweens – usual fare for the new crop of Aussie indies popping up all over the coasts. The band even contains a member of recent RSTB faves The Stroppies – and so it seemed all teed and set up for expectations of more of the same – but, this ain’t that record. Not by a long shot. While Possible Humans start their motor in jangle’s wide embrace, they don’t linger in its lot too long. They take a tub of roofing tar to The Clean’s fizz n’ strum dynamics and stick it onto a harder, knottier, more knuckled vision of indie that was spreading across the US. Shades of Dinosaur, before legalities gave them a youthful suffix, are at work here as well as patches that pull from Dino’s fellow Fort Apache alums Volcano Suns. The band has a real reach, giving the record the kind of dynamic progression that often gets lost in bands who nail their niche with a great tune only to rinse and repeat over the rest of the record. There’s hardly a repeat feeling in the bunch save for a hangover of frustration, but it sticks together like a dingey bouquet picked out the puddle and pasted back together. The toughened skin of “Absent Swimmer” recalls R.E.M. at a time when you weren’t likely spot the whites of Stipe’s eyes on stage. Other places they’re muddying up Feelies riffs or flirting with the noisier nubs of the alternative nation, bending guitar growl through manic swings like a band who watched The Mats once and tried to memorize the stage moves. The absolute highlight, though, is the lengthy second side workout “Born Stoned” which finds them at their gnarled best, threading repeated riffs through the woodshed and stuffing flannel in all the exits to hotbox their best grim grooves. It’s a hell of a debut, and like their fellow countrymen Mope City (who tackle Galaxie 500 glimmer) they’re branching out from the expectations built up among an underground that’s constantly intriguing, but has also cannibalized its influences a few times over. Though the LP was scant, this one’s worth it in any format. Recommended you get on that. 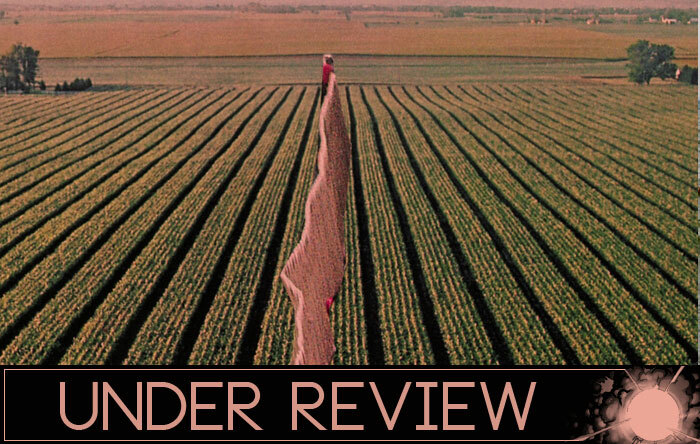 Jumping up another rung from their superb and well-received sophomore LP Blisters In The Pit of My Heart, UK power pop shakers Martha are proving to be the piners to keep a constant eye on. The band’s latest infects 2019 with the kind of hearsick stomach ache that accompanies lost loves, long nights, dour days, and the terrible creeping feeling that you’ll never survive the next couple of months unchanged. Despite covering some of the bands most heavy territory, they make go down pretty easy, swishing down sweet hooks garnished with singalong swoons and whoa-oh choruses that help mask the bitter poison swimming below the in the band’s lyrics. 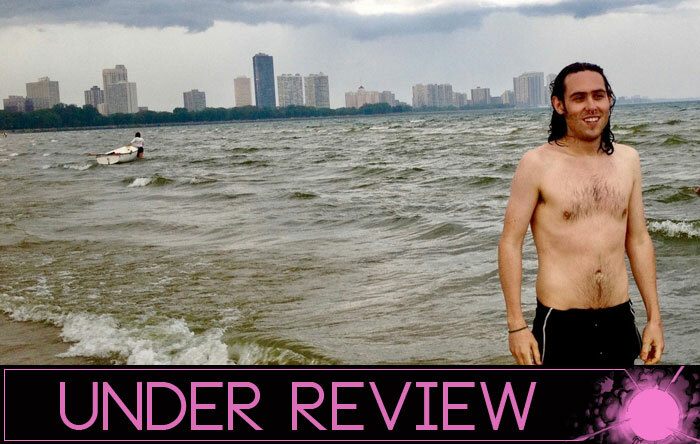 While the hooks are noting to slough at, the band’s bare and bracing subjects elevate them from slipping into the punk undertow. They’ve always had their hearts on their sleeve, tugging gently at the emotional tags that can sometimes be a brush off for folks. Yet they knot their wordy wallows into decorative lanyards that can’t help but win over listeners with the shared trauma of youth. Every song in Martha’s canon feels like they’re barely getting out alive and its hard not to nod along -whether the listener’s in the throes of high-stakes youth or just moisturizing the scars from it as part of a daily routine. The band is the embodiment of bittersweet, begging the listener back for more with earworms that nod the head but rub the soul raw. To build those earworms they’re pushing aside the prattle of punk’s latter-day indulgences, keeping in the parachute lite pop billow, but discarding the repetition and cheeky charms. They supplant these with a touch of jangle stripped right out of the English tradition and the wistful cool that comes in tow with their clouded demeanor and introspective bend. While Love Keeps Kicking is easily a record that could facilitate any windows-down car trip for the summer, its just as likely to find you pulled over by the roadside crying off old wounds. For every tear they spill, though, Martha’s there to wrap an arm around and wipe it away. The record is knife and stitches all in one and despite my best intentions, its hard not to listen, lash and repeat. The members of Hills are busy on the side these days, while her bandmates are prying open the Kosmiche window in Centrum, Hanna Östergren is treading equally cosmic territory with her new outing Laughing Eye. As the drummer for both Hills and the recently reformed Träd Gräs och Stenar, the project naturally lends itself to a rhythmic bent, but Östergren proves deft at creating atmospherics as well as a polyrhythmic pound. Travelling down similar territory to Sagor & Swing she weaves organ, strings, and percussion into a trance that recalls folk raga with a chilly Noric bent. The eponymous record pulses with a cold beacon of light but its hard to see if the pulse is coming from the mountaintop of from a low hanging satellite. Östergren’s music is equally at home in the meditative state as it is grappling for the outer edges of the ionosphere. The first side is built with shorter pieces that all dip into transcendental territory, but it’s on the album’s nearly 17-minute closer where Östergren really shines. The track builds from warbling hums, adds in mournful flutes crying solitary tears to the cosmos. The track reverberates with an uneasy energy, giving off both a calm and a menace all at once. It’s the soundtrack to a resigned fate, paralysis on the precipice of the jaws of death. The whole album shows promise, but its this ending that makes me hope she’s got more of this coming down the line. It seems like just a few months ago that Jersey’s young gun guitar greats Garcia Peoples graced us with their debut, Cosmic Cash. That record, born out of the cutout bin clamor for a resurgence of ‘70s denim draped sounds, was the soundtrack to summer haze in 2018. The band made a strong case for a return to the karmic well, divining the spaces between The Dead, Hot Tuna, Mountain Bus, Mighty Baby, and FAT. Yet, despite the band’s Arakaki brothers barely even scratching this temporal plane of existence when the tape trades swapped to file transfers, the band evokes quite convincingly a headier era, when the way to peace lie in between the woven lines of interlocked guitars soaking up the sun. They, along with a few other keepers of the Cosmic Cloth who’ve stepped out of the smoke in the last couple of years, have been warding off the sour taste left behind by frat bros soaked in spilled vape liquid and sweat who can’t stop telling you how much better Widespread is in the pocket. Instead they foster an environment of bucolic guitar nirvana that’s a bit sunnier and a touch smarter, zeroing in on the positivity and playfulness one would expect from a band with such a pointed moniker. The new album straddles finely the line of grass between the edge of the city and the beginning of the country. 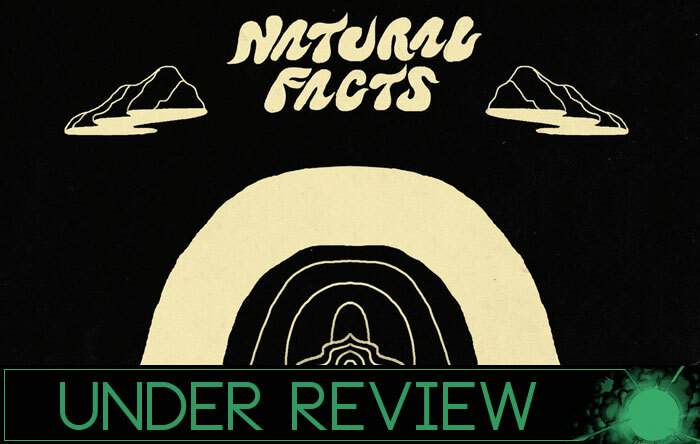 Natural Facts is a still full of the cool breezes that blow as you tumble down that Black Mountainside (see: “Weathered Mountains”) but they’ve added a touch of toughness into the formula this time around. The city seeps up through the cracks in the soles of their shoes, giving the guitars a bigger bite that also soaks the record in a greater sense of relief when the band loses themselves in the roiling waves of dual guitar euphoria that can only be amplified when they’re fleshed out on stage. Speaking of the stage, the band has already built themselves quite a live reputation, which often makes a hard transition to the record. For any band whose live sets read > like > an > expression > of > equation rather than a bulleted list, compartmentalizing the flow to two sides of wax can prove a challenge. The band escapes for the most part unscathed, eschewing the suite method they’d employed on their last album and giving the tracks on Natural Facts a cap around the five-minute mark. They manage to engross still within these truncated lengths, while making the album flow with the ease of a band used to sewing their songs into an aural tapestry. Short order, if you were on board the train last album, then you won’t be disappointed here. If you’re just now buying the ticket, then Natural Facts will drop you at the edge of the psychedelic veil just as gently.